1 mes 1 igual a 3 Brut Nature. Buy cava from D.O. Cava. 1+1=3 Brut Nature is a cava produced by the winery 1+1=3 (U Més U Fan Tres) in Guardiola de Font Rubí, D.O. Cava. 1+1=3 (U Més U Fan Tres) is the name of the project created in 2000 by Josep Anton Bonell and oenologist Josep Piñol, in the Masia Navinés (Guardiola de Font Rubí). Their philosophy is commitment to the land and love for the vines. This, alongside their passion for their work, results in attractive, elegant, modern and pleasant wines. The winery 1+1=3 (U Més U Fan Tres) is located in the heart of Penedés. They cultivate almost all their vineyards organically, giving importance to the native varieties, without leaving behind the international ones that have adjusted to the region so well. 1+1=3 Brut Nature is a cava made from Parellada, Xarello and Maccabeu from their own vineyards. The grapes are manually harvested and placed in boxes. Once they arrive at the winery, the grapes are destemmed and pressed. Once it has been settled in cold, the must ferments in stainless steel deposits, each variety on their own. After the fermentation they carry out the coupage, and the cava is bottled for its second fermentation in the bottle. After 24-30 months, the bottle is disgorged to get rid of the lees form the second fermentation. No liqueur d'expédition is added to it. 1+1=3 Brut Nature is a light, pleasant and dry cava. It stands out for the white fruit, citrus and a slightly unctuous finish thanks to its ageing. A cava that can be paired with any kind of meal. Sight Straw yellow colour with greenish reflections. Clean and bright. Nose Clean, elegant fragrance, white fruit (apple and peer) with fine and pleasant notes of its ageing. Taste Pleasant and delicate nuances which remind of the olfactory sensations. Appropriate level of ageing, its pleasant and fine pearls together with a balanced acidity provide a great mid-palate. Fresh and persistent finish. 1+1=3 (U Més U Fan Tres), began its commercial activity more than ten years ago, although the founders of this winery already worked in the world of wine since much earlier. As for the name 1+1=3, it has its origin in the sum of different synergies: the passion for work well done in the vineyard and in the winemaking of oenologist Josep Piñol. Josep Anton Bonell’s love for this precious fruit that the region of Penedés gives us — he coordinates ageing, bottling and preparation of the products— together with Carles Esteve, a prestigious Garraf winemaker, have led their wines and cavas to be recognised and marketed in the USA, Japan, Belgium, Denmark, Holland, Finland, Italy, as well as in Canada, Hong Kong, Singapore... This year, the winery’s products are also increasingly appreciated in Catalonia, and in other parts of Spain. The energies transmitted to us by Carles, Josep and Josep Anton lead the 1+1=3 team to continue working together with their clients, who are at the same time the ambassadors of their products. Cava Brut Reserva. Volume: 75 cl. Winery: 1 mes 1 igual a 3. U més U fan Tres. D.O. : D.O. Cava. Production area: Cataluña. 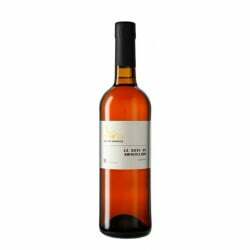 Grapes used in this wine: Macabeo and Parellada and Xarel·lo.